We are a team of dedicated and talented storytellers. We have recruited and galvanized a strong core within the USC Trojan Mafia for this project along with experienced veterans in key areas that we have built relationships with along the way. Osahon Tongo is a writer-director from Naperville, Illinois. He is a graduate of USC School of Cinematic Arts MFA program where he was an Annenberg Fellow, USC Comedy Executive Board Member, Media Institute for Social Change organizer, Phi Kappa Phi Scholar, and Saks Institute for Mental Health Law, Policy and Ethics Scholar. He is an experienced writer that has co-written an adaptation of James Franco’s book, Actors Anonymous, and Iman and The Light Warriors and has directed many short films including Happy Bird, I'm Good and Full Ride. Osahon earned a full athletic scholarship to Georgia Tech where he ventured into activism by lobbying for student athlete’s rights with the National College Players Association. and he continues to serve on the players counsel for NCPA. As a writer/director he focuses on creating change by developing empathy; shedding light on mental health issues and transforming views on the construct of male sensitivity. He worked at CNN as a digital marketing specialist and move on to be the social media strategist for Emory Goizueta business school. Tongo specializes in telling soulful stories through uninhibited magical-realism and imaginative poetic cinema. He was selected for Ryan Murphy's Half Foundation Directing Mentorship Program and pushes the boundaries of storytelling with every project. He has experience with green screen, motion capture, sound design, event and experience design, imagineering and world building. Elena Bawiec, a Moscow native, graduated with an MFA from the renowned USC School of Cinematic Arts in Fall of 2016. While at USC, Elena produced numerous short films that travelled to film festivals worldwide, garnering significant critical acclaim along the way. Among them are: The Suitcase, a Disney and Universal Pictures funded project; Only Light, a poetic exploration of the world of human trafficking; Kafka, a sci-fi comedy about a time machine gone awry; and D'Arline, a film generously supported by the Sloan Foundation about the physicist Richard Feynman. Her newest projects are the ambitious dune racing proof of concept, Mother's Day and a striking Incendium, a an immersive cinematic voyage, examining life and death through the movement of flamenco. Ayana Baraka was a Cinematographer on The Hunting Ground, which premiered at Sundance 2015 and was short listed for the 2016 Oscar for Best Feature Documentary. She was named a person on the rise in Hollywood by Producer Mel Jones in an October 2015 Amsterdam News article. She is a winner of the 2016 award for Best Cinematography at the Victoria TX Independent Film Festival. Baraka is currently shooting a virtual reality experience for the MxR Studio called M5 that will debut in 2016. She is also working on a feature documentary called United Skates and a BET International documentary series on the Tony Award nominated Broadway production of Eclipsed. She is a graduate of the USC School of Cinematic Arts film program and holds an MFA in Film and Television Production. Ed Wu. Cinematographer. Classically-trained Violinist. Ultimate Frisbee Athlete. Cat lover. Ed Wu explores the world through the lens of his camera. He’s an honorary Hoosier from Long Island, NY, who transplanted to Los Angeles in search of uncovering and learning the magic behind visual storytelling. His work on the film SLEIGHT was officially selected at the 2016 Sundance Film Festival garnering great reviews from critics. He was selected to be a part of Variety’s 2016 Below the Line Impact Report for the Up Next category. His cinematography has been awarded with selections and nominations at film festivals around the world including Clairmont-Ferrand Film Festival, London International Film Festival, Raindance, LA Film Festival, Rhode Island Film Festival, and many more. Christian Epps’ career as a lighting designer has spanned more than two decades covering the range from major motion pictures, broadcast television, live theater, dance, music videos and special events. Recent projects; ‘SELMA’, Beck & Lincoln Automotive (commercial), The Door (a short film for fashion brand Prada), Ain’t Them Bodies Saints, (Sundance Cinematography Award winning movie). On film, Christian’s passion for dramatic lighting has been put to use with notable directors such as Spike Lee, Hype Williams, and Nick Castle. As part of his decade long association with Spike Lee, Christian was chosen to bring live performance lighting to the big screen. Christian also was brought in to execute the nightclub lighting forIce Cube’s directorial debut ‘Player’s Club’. In the fast paced music video format he’s contributed his design work to such artists as: Michael Jackson, P. Diddy, Biggy Smalls, R. Kelly, Whitney Houston, Queen Latifah, Branford Marsalis, Me’Shell N’degeocello, TLC, The Indigo Girls, Boyz II Men, and many, many more. He served as the gaffer on ‘Belly’, directed by the seminole music video director Hype Williams as part of his long association with Mr. Williams. Of late. For the last three years Christian has been gaff’ing again with a rising star DP Bradford Young. 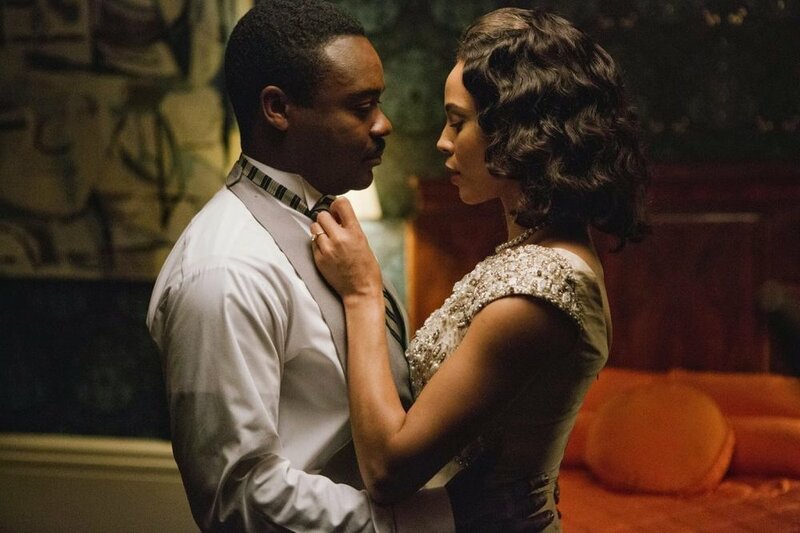 Their most recent project wast the national and international critically acclaimed SELMA. One of their movies, ‘Ain’t Them Bodies Saints’, was recently awarded the Sundance Best Cinematography 2013, and was released August 2013. Ludwig Goransson is today's new form of Producer/Composer. Producing artists like Childish Gambino and HAIM, Ludwig also composes original music for films like CREED, Fruitvale Station, We’re the Millers and TV shows (Community, New Girl, Happy Endings). Most recently Ludwig was the mastermind behind the production of the critically acclaimed Childish Gambino album “Awaken, My Love.” Ludwig also produced Chance the Rapper, Selah Sue, ZZ Ward, DWW, Emmy The Great, amongst others. Los Angeles-based Film & TV Sound Designer and Re-recording Mixer, member of the Motion Picture Sound Editors (M.P.S.E.) organization. Films he worked on were featured in national and international film festivals including Sundance, Tribeca and Rotterdam. His sound design played in cinemas across the world as well as on VOD and in prestigious art galleries. Peter's passion lies in creating sound stories that take the audience on journeys beyond the boundaries of their own imagination. Rachel Robb Kondrath is an Emmy Nominated Art Director. A graduate of Rhode Island School of Design, Harvard, and USC, Kondrath served as the Production Designer for Season 2 of Ryan Murphy's Scream Queens, building an abandoned hospital and swamp for the season's story to be told. Other shows she has designed award winning work for include, Drunk History, Jay and Seth Versus The Apocalypse and Another Period. She has a background in cross-cultural conflict resolution at the organization VISIONS, Inc. Facilitating conflict negotiation across cultural differences in communities. She is a member of the Art Director's Guild and is a founding member of the Art Director's Guild Diversity Committee. Also she serves as the chair the Young Artists Committee. Rhodes is a native son of The Motor City. He studied mechanical engineering and industrial design at the University of Michigan and designed for companies and organizations such as Apple, Chrysler and NASA. He worked as a senior art director at GlobalHue Advertising agency and designed record breaking campaigns for clients such as Corona, Jeep and the Bermuda Department of Tourism. He is now an international award-winning filmmaker and artist. He blends the worlds of live action and animation together through comedic storytelling. He won the prestigious Telly Award for his mock commercial Harold's Fish Sticks while his film Mosquito: the Bite of Passage has been called, "the most technically advanced film in the history of USC" by faculty. He is experienced in motion capture, green screen and emerging technologies in the world building space. He is an alumni of Sundance New Frontier as part of the Leviathan team that used VR/AR and other world building techniques to fully immerse audiences in 2016. Virtual Reality/Game Designer, Illustrator and Street-Artist. Designs Characters and Storyboards for interactive and film entertainment. Frederico is one of the first people to earn International Artist Fellowship at USC. Hailing from Sao Paulo, Brazil, Fernandez is a highly notarized graffiti artist with works on walls all around the world. He is a talented illustrator and animator that ventured into VR and Game Design at USC. After graduation he has worked with Sony's VR development team and has been further developing his games. He is a man of little words but his work speaks volumes. Mike Patterson is a director, designer and animation artist working in visual music. His animated film Commuter, along with 7 of his music videos, are in The Museum of Modern Art's permanent collection. After graduate studies with Jules Engel at CalArts, Mike was brought to the attention of record executives with his Student Academy Award-winning animated short Commuter. Employing his unmistakable drawing style, he began his career in music videos in 1985 by animating the epic MTV hit Take on Me for A-Ha. He teamed up with his wife Candace Reckinger to direct a string of MTV hits that include, Suzanne Vega’s Luka , Sting’s Be Still My Beating Heart and Opposites Attract , featuring Paula Abdul and MC Skat Kat, which won the Grammy Award for Best Music Video in 1990. Their videos have received MTV, Billboard, MVPA, and American Music Awards, and continue to appear on top 100 music video lists. 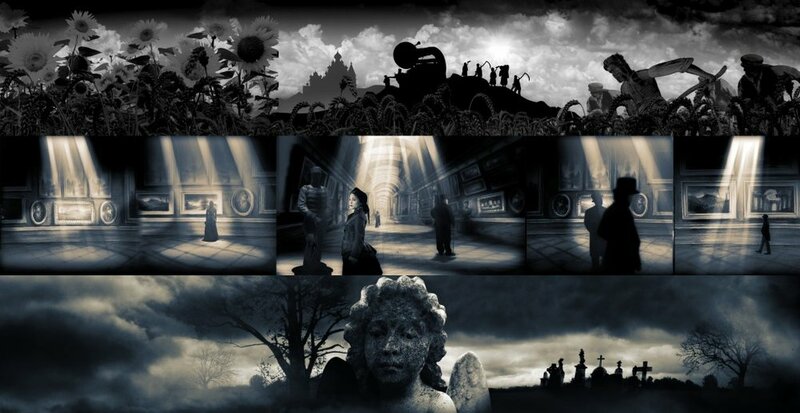 In 2010, Patterson collaborated with symphony conductor Michael Tilson Thomas and Candace Reckinger to create an expansive 5-screen visualization of Mussorgsky’s Pictures at an Exhibition . The 35-minute live work immersed the classical music audience in animated imagery. Pictures premiered in 2011 with live orchestra at the gala opening of Frank Gehry’s New World Center in Miami Beach, Florida. The animation team included 11 USC animation students and recent grads. Mike produced and co-directed Rhythums + Visions / Expanded + Live in 2011 and 2013. Expanding his work in visual music and experience design, large architectural spaces were transformed into virtual ones using animated projections, inflatables, live music and lighting. Audiences were immersed in a physical experience as they viewed sound visualizations, performances and interactive installations. The events also gathered internationally renown visual music artists work from the US, Europe and Japan in a curated gallery exhibition. Patterson's 20 years of directing in television commercials combines storytelling with his animation expertise. While at Rhythm and Hues Studios he worked extensively in a mixed media style, merging live action with animation and motion graphics. As part of a hands-on style, he works as his own storyboard artist, designer, and on-set effects supervisor. His national spots have appeared on the Superbowl and received numerous awards including two Clios. In 2012, Mike's original animation artwork for the A-Ha's Take on Me music video was featured in the groundbreaking museum exhibition, Spectacle: The Music Video , the first ever to celebrate the art form of the music video. The traveling exhibit opened at the Zaha Hadid designed CAC Museum in Cincinnati and is now at the Museum of the Moving Image in New York. Also in 2012, Mike and Candace directed Mr. Blue Sky , a new fully animated music video for Jeff Lynne of Electric Light Orchestra. Students from USC's animation program teamed up to animate the video. Patterson received his B.F.A. from University of Illinois Urbana-Champaign in 1980, attended the M.F.A. program in Film Graphics at CalArts in 1981/84 and has been with the Directors Guild of America since 1993. As creative lead for interactive projects at WDI, Joe Garlington is responsible for the creative development of interactive attractions for all Disney theme parks. Additionally Joe leads long term visioning for Disney’s Epcot theme park and partners with WDI R&D in the development of new concepts for theme park entertainment. Recently Joe’s teams have: developed games for the Kid’s Club and UnderSea Magic, a digital dinner theater show, for the Disney cruise ships, the Dream and Fantasy; installed Turtle Talk with Crush, a fully conversational digital character/audience participation show at Tokyo DisneySea; built The Sum of All Thrills, where guests design and then ride their own rollercoaster using an industrial robot as a simulator (put a loop in your coaster, you will go upside down); and have given Mickey Mouse a voice as he walks through the parks. Joe joined Walt Disney Imagineering in1980 working on projects for Epcot, including Spaceship Earth and a prototype for an “arcade of the future.” A few years later he started Art & Technology, Inc., to design interactive attractions for museums, zoos and theme parks, returning to WDI in 1990. Since then, Joe has overseen the creation and development of such attractions as DisneyQuest, an indoor interactive theme park; WDI’s “Living Character” initiative to develop fully interactive digital characters for park experiences including Turtle Talk with Crush, Stitch Encounter, Monsters Inc Laugh Floor; all the interactive elements for Toy Story Midway Mania, Disney’s largest interactive ride; worked up park-wide and ship-wide games, queue line entertainment, post shows for numerous attractions and “edu-tainment” experiences that are part of sponsored shows. He has worked on projects for virtually all Disney theme parks and many resorts and other businesses. Joe received a BFA from the University of Utah, and an MFA from California Institute of the Arts. Before Disney, he worked in the film industry on such movies as “Star Trek—The Motion Picture,” “Caddyshack,” “Blade Runner,” “Firefox,” and “The Natural”. Candace Reckinger is an artist-director specializing in hybrid media and visual music using a mix of animation and photography. Her work ventures beyond the boundaries of conventional narrative exploring the border between the figurative and the abstract, the mythic and experiential, and the tension between movement and stillness. Her inspiration emerges from myth, landscape and music. In the mid 80s-90s, with her husband Mike Patterson, she co-directed music videos for MTV that pioneered a mixed media approach often featuring animation. Together they created the animation for the pop culture icon Take on Me by Norwegian band A-ha, followed by a string of hits including Suzanne Vega’s Luka, which won an MTV moon man for Best Female Video, Sting’s Be Still My Beating Heart , awarded Women in FIlm’s Best Music Video, and Opposites Attract, featuring Paul Abdul and MC Skat Kat, which won the Grammy. In 2006, seven Patterson+Reckinger videos were added to the permanent collection of the Museum of Modern Art. In 2011, Candace collaborated with Mike Patterson and conductor Michael Tilson Thomas to create an live performance, animated 5-screen visualization of Mussorgsky’s Pictures at an Exhibition for the opening festivities of The New World Center in Miami, the world’s first multi-media symphonic concert hall which was designed by Frank Gehry. She produced and co-directed Rhythms + Visions / Expanded + Live I and II in 2011 and 2013. which transformed large architectural spaces into virtual worlds using animated projections, inflatables, live music and lighting. Audiences were immersed in a physical experience as they explored sound visualizations, performances and interactive installations. The events gathered internationally renowned visual music artists work from the US, Europe and Japan in a curated gallery exhibition. Candace currently is collaborating with composers to create immersive projected visuals for live music performance. Michael has earned degrees from California State University Northridge, San Francisco Art Institute, and California Institute of the Arts, in an attempt to leave behind a checkered past that included stints as an Army officer, a money manager, and a studio artist and photographer. Michael began working in film on China Syndrome in 1977. He “cut his eye teeth” on films such as Star Trek - The Motion Picture and Blade Runner before becoming a Visual Effects Supervisor on War Games, in 1982. He has since worked on over 50 films, including Buckaroo Banzai, Batman Returns (Academy Award Nomination), Braveheart, Mars Attacks!, X-Men, X-Men 2, Constantine, The Golden Compass (Academy Award), Tropic Thunder, Avatar, Tron: Legacy, Sucker Punch, and Tree of Life. Michael is Vice-Chairman of the Board and founding member of the Visual Effects Society, and a member of the Executive Committee of the Visual Effects Branch of the Academy of Motion Picture Arts and Sciences. He is Chairman of Ilibrium LLC, a cloud- based production software company. Michael is currently the Production Program Dean at the School of Cinematic Arts at the University of Southern California, and continues working as a supervisor and consultant on visual effects and 3D projects. He lives in Los Angeles with his wife, Melissa Bachrach, and their dog, Rocco, while their son continues his studies at USC and comes home when the desire for his mom’s cooking becomes irresistible. After graduating from Harvard College, Mark Jonathan Harris started his professional career as a reporter for the famed City News Bureau of Chicago, covering crime from five in the afternoon to two in the morning. Within a year he moved on to reporting national news for the Associated Press and then to television, where he started making documentary films for the King Broadcasting Co. stations in Portland, Oregon, and Seattle, Washington. Harris’s award-winning early films document some of the most important and contentious political issues of the 60s. Huelga! is a portrait of Cesar Chavez’s United Farmworkers Union and the first year of the union’s historic Delano grape strike. The Redwoods presents the Sierra Club’s successful case for establishing a Redwoods National Park. The Foreigners explores the work of a group of Peace Corps volunteers confronting the contradictions of U.S. foreign policy as they try to bring about social change in Colombia. In 1973 Harris and his family moved to Los Angeles where he returned to print journalism at the same time that he continued making films. For several years a contributing editor to New West magazine, he also wrote articles, essays, and reviews in a number of national newspapers and magazines including TV Guide, American Heritage, the New York Times, the Los Angeles Times and the Washington Post. During this period he also began writing fiction. His short stories have appeared in literary journals, and he has published five novels for children, which have won multiple awards. In the following years Harris alternated fiction, journalism, and filmmaking. Many of his later films deal with historical subjects. The Homefront examines the social and economic impact of World War II on this country. Unchained Memories: Readings from the Slave Narratives looks at slavery in America. His two Oscar-winning feature documentaries explore the Holocaust. The Long Way Home documents what happened to the survivors of the concentration camps in the period immediately following their liberation. Into the Arms of Strangers: Stories of the Kindertransport chronicles Britain’s rescue mission of 10,000 children in the nine months prior to World War II. In recent years Harris has focused on producing. He produced the award-winning Darfur Now and executive produced two other high profile documentary features, Spirit of the Marathon and Living in Emergency: Stories of Doctors Without Borders. Since 1983 he has taught filmmaking at the School of Cinematic Arts at the University of Southern California, where he is a Distinguished Professor. From 1990-96 he was the Chair of Film and TV Production. Ramogi Huma is the Founder and President of the College Athletes Players Association. Huma is a former UCLA football player who initiated and has led the college athletes’ rights movement for more than 15 years. After witnessing the NCAA suspend his teammate for accepting a bag of groceries when he had no food, and after being informed that the NCAA prevented UCLA from paying medical expenses from injuries that occurred during summer workouts, Huma launched an advocacy group called the National College Players Association (NCPA) to advocate for college athletes’ rights. Over 17,000 Division I college athletes have joined the NCPA. Huma has testified in US Congressional hearings and briefings, state legislatures, and in legal matters in support of better protections for college athletes. In 2012, Huma and NCPA successfully sponsored a Student-Athletes Bill of Rights in the state of California. The law requires colleges to pay for their athletes’ sports-related medical expenses, prohibits them from taking scholarships away from athletes permanently injured in their sport, and requires them to extend scholarships up to one year for former players whose teams have low graduation rates. A version of this bill was introduced in Congress in November 2013. Huma has coordinated various multi-campus player petitions and the All Players United (APU) campaign in which college football players from multiple teams displayed the "#APU" hash tag on their gear during televised game in solidarity for college athletes’ rights and the need for NCAA reform. Huma also co-authored groundbreaking studies that made national headlines such as “The $6 Billion Heist: Robbing College Athletes Under the Guise of Amateurism”. The study estimates that the fair market value of FBS football and men’s basketball players is approximately $137,000 and $289,000 respectively; and that the NCAA will deny these athletes approximately $6 billion of their fair market value between 2011-15. Huma, along with Kain Colter and Luke Bonner, established CAPA in January 2014. Huma’s advocacy for college athletes’ have been covered by countless media outlets including ESPN, Fox Sports, CNN, MSNBC, 60 Minutes, Sports Illustrated, The Wall Street Journal, The NY Times, USA Today, and NPR. Huma earned a bachelor degree in sociology and a master of public health degree from UCLA. In looking for funding for this project we looked towards the people that were in the best position to understand the topic and fund the project. These are dear friends with good hearts, political minds and a track record of investing success. We were all brought together during a great time at Georgia Tech and they have gone off to do great things in their careers and in the community and they are excited about the story and confident in my skills as a world class storyteller. Jeremiah Ojimaojo Attaochu is a Nigerian-born outside linebacker for the San Diego Chargers drafted in the second round of the 2014 NFL Draft. He played college football at Georgia Tech. He finished his career as Georgia Tech's all-time leader in sacks with 31.5, surpassing Greg Gathers' 31 that he set between 1999 and 2002. Linebacker Jeremiah “Jerry” Attaochu is the Chargers’ nominee for the 2016 Walter Payton NFL Man of the Year Award is one of the NFL’s most prestigious honors, recognizing players for his excellence on and off the field. He used his new-found platform to launch his Glory’s Hope Sickle Cell Foundation. Calvin Johnson Jr. is a football wide receiver who played his entire career for the Detroit Lions. He played college football at Georgia Tech, where he was twice recognized as an All-American. He topped the NFL with 122 catches and an incredible 1,964 receiving yards, which broke the single-season record set by Hall of Famer Jerry Rice in 1995. Johnson accumulated 329 receiving yards vs. the Dallas Cowboys in October 2013, the most ever for a non-overtime game. Daring to try something beyond his football career, Johnson decided to join Season 23's cast of Dancing With the Stars in 2016. Morgan was selected 16th overall by the Titans in the 2010 NFL Draft. He played college football at Georgia Tech. Morgan graduated from Georgia Tech with a degree in business management and finished the University of Miami’s Executive MBA for Artists and Athletes program. Morgan has spoken publicly about the medicinal properties of marijuana that he believes could benefit NFL players, particularly in treating and preventing serious brain injuries and diseases. Morgan has called on the NFL to conduct research on possible neuroprotective benefits of the drug. He is a co-founder of Huddle Ventures, a company aimed at diversifying tech, incubating talent and teaching financial literacy.